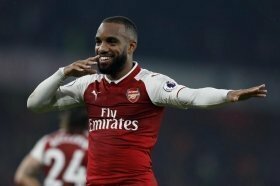 The Gunners sealed a sublime 4-2 comeback win over Tottenham Hotspur in their recent league encounter and they are presently occupying the fourth position in the standings. Bernd Leno was guilty of making a poor attempt to save Spurs' equaliser last weekend but barring that, his performance was impressive. He should retain his position between the sticks. In the defence, Emery is likely to prefer the three-man central defence which has worked to good effect in recent matches and this should witness Shkodran Mustafi, Sokratis Papastathopoulos and Rob Holding featuring once more. Likewise, Hector Bellerin and Sead Kolasinac should continue commanding the right and left wing-back positions respectively but Emery is expected to make an enforced change in the centre of the park. Granit Xhaka is suspended for the United game after picking up his fifth yellow card of the Premier League campaign and in his absence, Mateo Guendouzi should most likely partner Lucas Torreira at the heart of the midfield. Further forward, Aaron Ramsey and Alexandre Lacazette are strong candidates to make the first XI after their second half contributions against Spurs. Ramsey should slot into the attacking midfield role with Lacazette accompanying Pierre-Emerick Aubameyang upfront.